Digital Thermometer only $1.75 + Possible FREE Shipping! 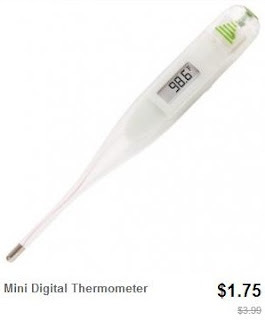 Head over to Totsy and check out the "Veridian Personal Care" sale to find mini digital thermometers for only $1.75! To sweeten this deal, you'll get FREE shipping if this is your first order within 30 days of creating your account.